Marco Hollebeek, Marije den Breems, Mathies Hollebeek from the Netherlands Welcome you. 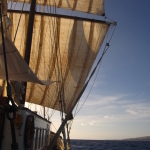 The crew of the Classic Charter Sailing Ship Silverland is ready to be of assistance when you sail along on your unforgettable kite cruise or sailing holiday. Marco and Marije will make sure you get the best spots on your Kitesurf Cruise or sailing holiday. Whether it’s kite surfing, wave surfing, sailing, SUP, windsurfing, diving, beach life, hiking, chilling, snorkeling, or whatever, they make sure you’re where the conditions are best. Not only for you but also for them! Marco and Marije love to make an unbeatable experience altogether with you! 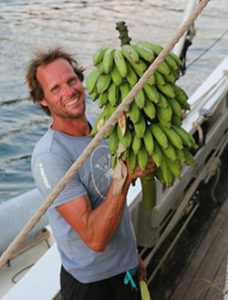 Marco Hollebeek, Dutchman, is the captain and also the owner of Silverland. In his previous life, Marco was a carpenter, shipbuilder, and contractor in the Leiden area and has built and rebuilt a lot of Silverland himself. 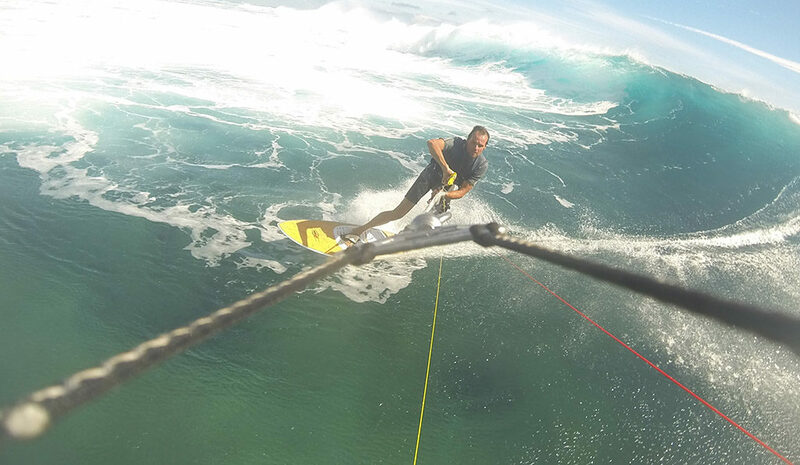 Besides being a passionate sea sailor, he is a fanatic kitesurfer with a love for waves and has already stripped many World Class kite spots from his list, and there are many more to come, see Upcoming destinations. 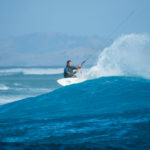 He also ensures that you are safe on the very best kitesurf, windsurf or wave surf spots and often knows exactly where to anchor where another does not come, often directly on the spot. 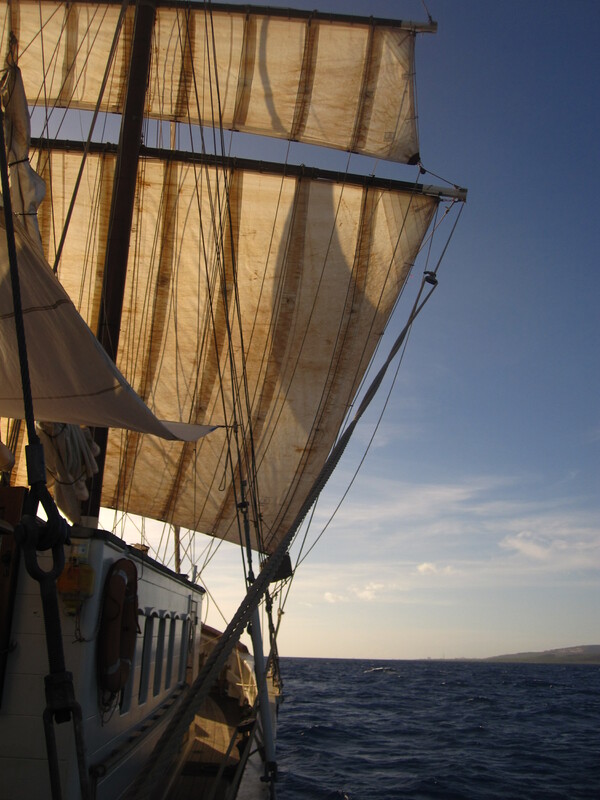 When hoisting and storing the sails he can always use a few firm hands, so get ready for active sailing! Marco also makes sure that everything keeps working on board. Think of hot and cold water, electricity, internet, diving equipment, surfboard repairs and he bakes bread daily, does the navigation and much more. A ship has much more technology on board than a house in the house. Click here for the Destinations in 2019 for the current sailing holidays or kitesurfing holidays. 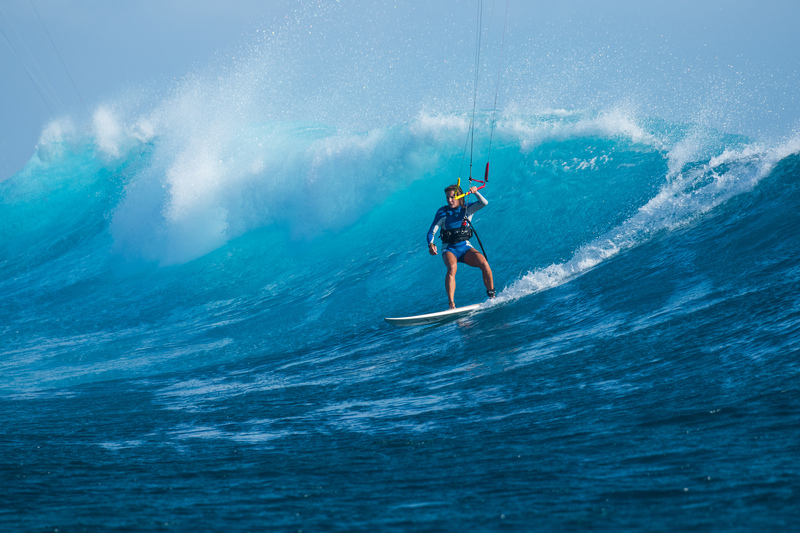 Marije den Breems, Dutch, is first officer, hostess, IKO kite instructor and co-owner, at home at sea. In her previous life Marije was a Dutch language teacher at high school in Leiden. She is also still a freelance writer for various magazines such as Sailing, Access Kitesurf Magazine, Woman and other magazines. 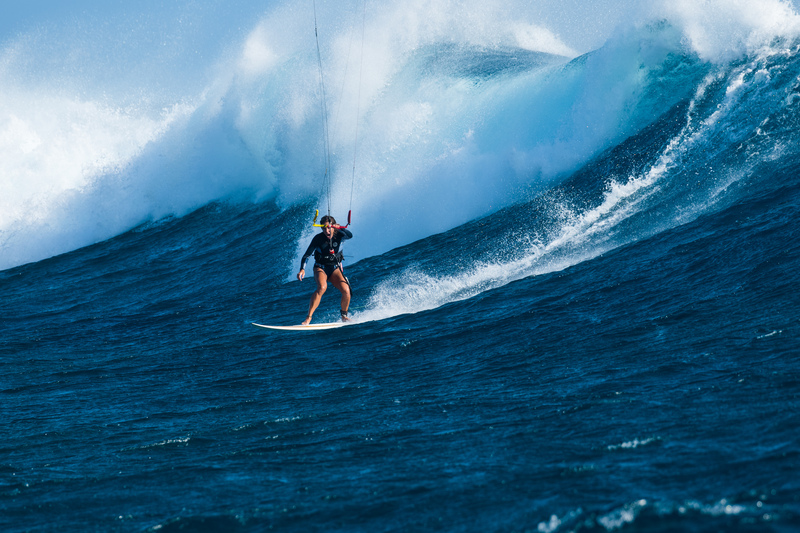 She is a passionate Kiteboarder in Freestyle and Wave kitesurfing, Wave Supper and Surfer. She is eager to go into the waves with you for an unforgettable surf, sup or kite session. If you want to learn tricks or wave SUP, Marije is the right person to teach you! She will also be happy to help you make the delicious, healthy and often local dishes for your kiteboard cruise and sailing cruise. One of her other passions is cooking. She prefers to work together with you in a pleasant and relaxed way, while enjoying music and a drink and a good conversation! 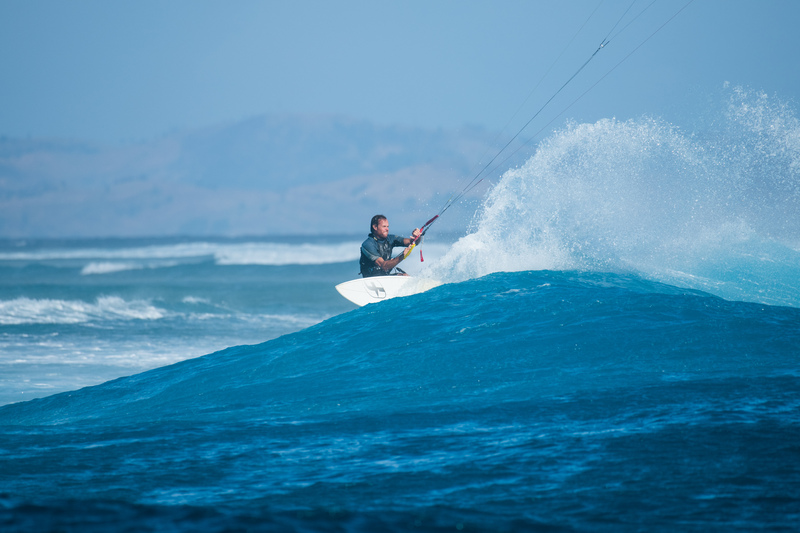 Click here for the current and upcoming kitesurfing destination. 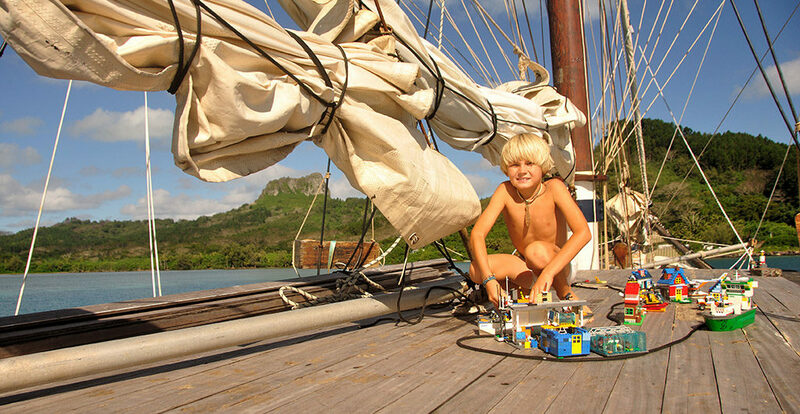 Mathies Hollebeek is 10 years old and first deck hand, fisherman and the sunshine on board. He can tell you all about the local fish and is eager to cast a fishing rod with you. The fish you catch yourself can be on the bbq in the evening. Mathies has spent more years of his life at sea than on land, and meanwhile he knows more about the ins and outs on board than his mother! Mathies likes, just like Marco and Marije, to have other children on board as well. Mathies learns to surf now. Mare de ships dog is a very sweet clean, healthy and child friendly dog. Mare is not aggressive at all and has never made a biting gesture to anyone, she does like to come by for a stroke or play. Mare is not allowed to go down at the Cabins and during our dinner she lies in her basket, Mare does not hair in a constant tropical climate. Mare was saved by the crew as a puppy from a certain death in Grenada in the Caribbean and she seems to be eternally grateful for that. Mare also watches over Silverland. Funny detail is that Mare loves dolphins, she jumps into the water when we are at anchor and have dolphins around the boat. Once she mistook sharks for dolphins, it was a bit of a shock but of course it ended well. Experienced sailors, connoisseurs of the seas. 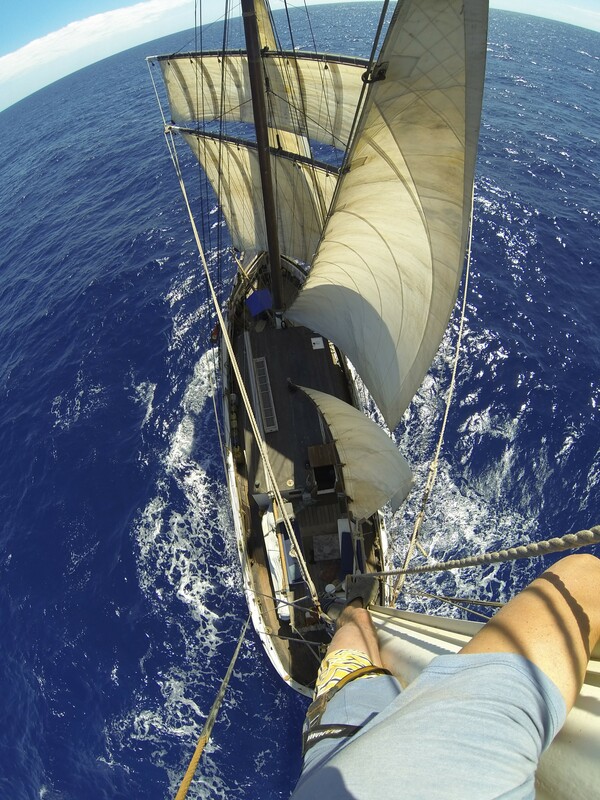 Marco and Marije are experienced sailors and have already crossed many oceans and seas and braved heavy weather. Silverland is always their safe and reliable base that never lets them down. 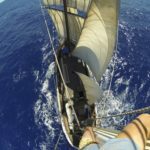 They also have gained extensive experience in the Sailing Cruises and Kite Surfing Cruises and are now very relaxed with this. But they are also good at finding just that one undiscovered anchorage “right on the spot”. The trinity loves to tell you about their travel adventures and share their dream with you. 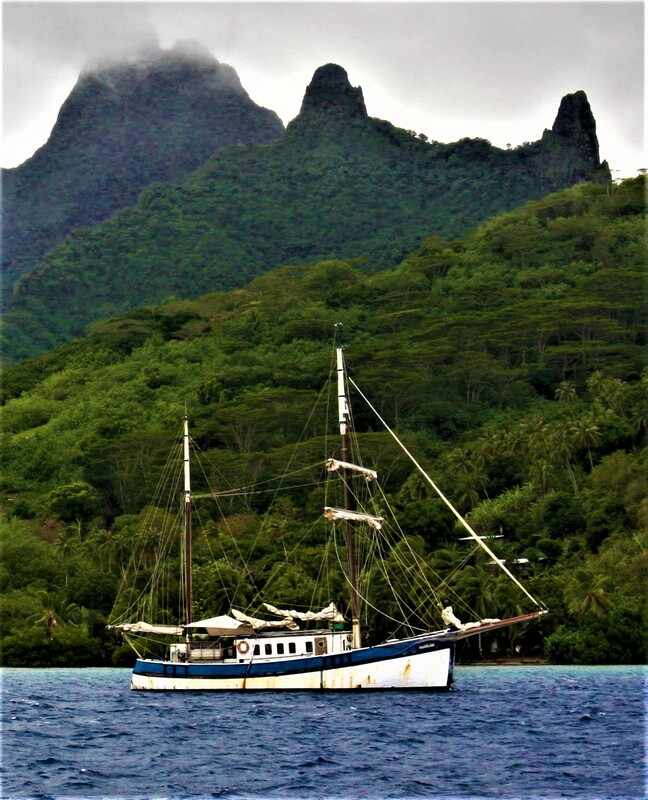 The Silverland crew knows perfectly, and in consultation before you arrive, which spots and route are the best for your sailing holiday. 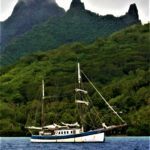 But if you have any wishes regarding the sailing route, special surf destinations or kite surf destinations, let us know and Marco and Marije will do their best to go where you dream of. They will also make sure that you return home rested, possibly surfed through and fully charged! Besides Marco, Marije and Mathies, there may be an extra crew member present to help on board. We will keep you informed about this. Click here (destinations 2019) for the most beautiful destinations and for your sailing charter or kite surf cruise.